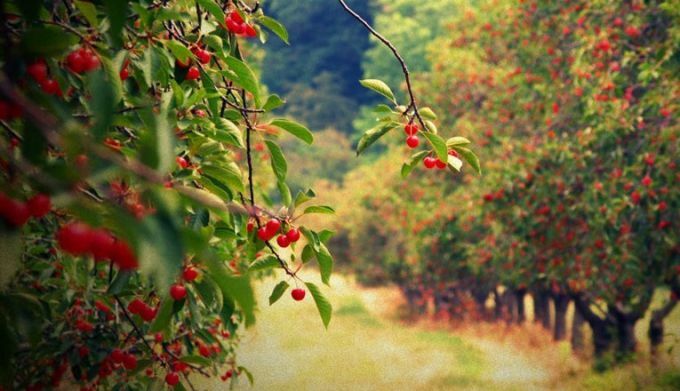 Cherry – the favorite fruit of each from childhood, but very often it happens that instead of enjoying the fruits we get is disappointment due to the fact that the crop is ruined by a different kind of pests. And yet if the time to detect the problem, in the future you can avoid such grief. Every grower should know that the parasites can not only ruin fruit, but the tree itself, and therefore their destruction should be taken seriously. So, the first thing you need to pay attention to is the presence of aphids on the tree. To reduce the probability of occurrence of this pest, it is advisable to clean the area near the tree from other plants, especially from different kinds of weeds. When the kidneys have not yet blossomed, you can do traditional methods, opryshkiv tree infusion of dandelion, yarrow, onions, or garlic. You can also use a solution of soap, creating a tree kind of film, under which the aphids suffocate. The use of chemical solutions is an extreme measure which should be resorted if the tree is already too littered with traces of the pest. Well in this case to use a solution of Decis (0.1 percent). It is not necessary to spray the tree with chemicals in windy weather, avoid getting the spray on other plants. To ruin the cherry crop may beetle called a weevil. This insect not only spoil the already ripe berries and even ripe cherries. If the tree's too many of these pests, it is possible to harvest and does not. Since the beetle overwinters in the ground is necessary before the first frost to dig up the area near the tree. In the case when the tree suffered too much from the weevils, it should handle pesticides. The first spraying is carried out after flowering, and the next a week later. To leave the cottagers without a crop may moth larvae which simply into the still unopened buds of the tree. Because of this, they dry out and incapable of further flowering. In addition, the caterpillars eat the leaves of the plant, which also negatively affects the overall state of the tree. This can be avoided by digging the earth near a tree in autumn and its opening in the spring. However, this is not always effective and in most cases is to resort to the use of toxic chemicals, such as Dices or Acheroy. We should not forget that the more attention the tree, the better and richer will be the harvest. To the same unique cherry taste, they deserve what they would be cared for.